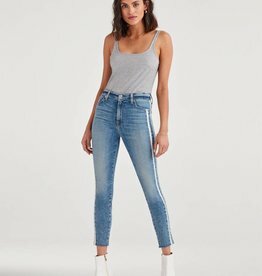 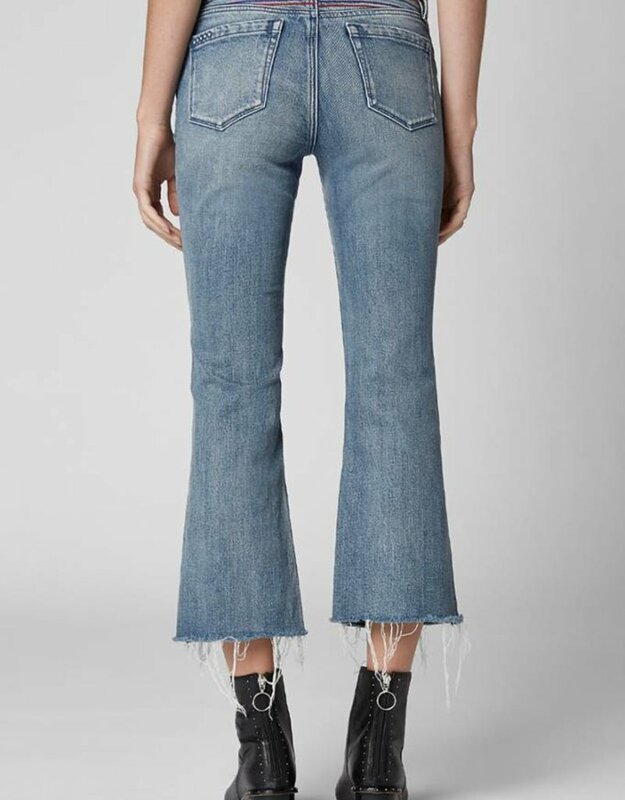 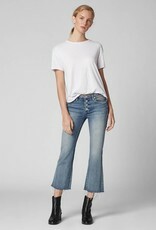 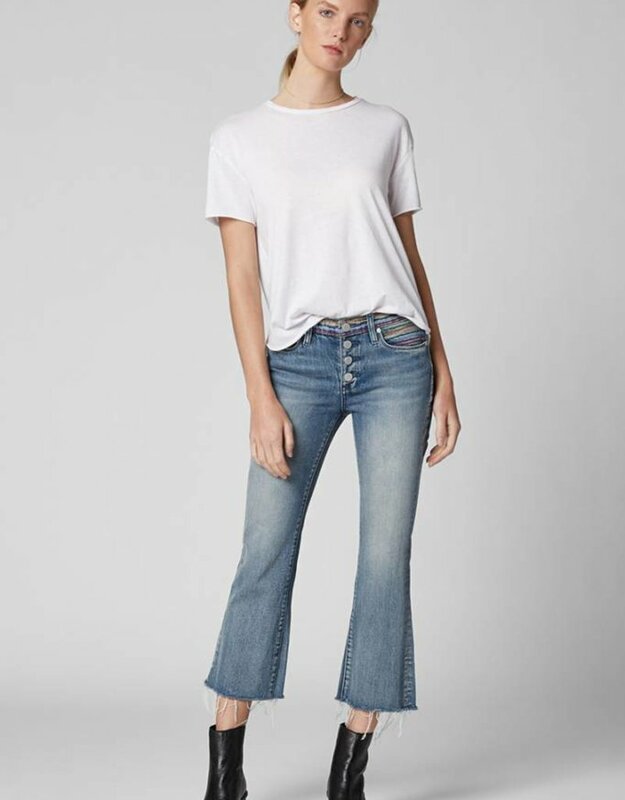 Kick flare jeans in light medium wash with twisted seam rainbow embroidery and button fly detail. 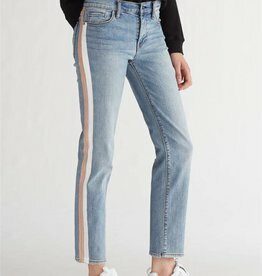 Don't walk, run into spring with these ankle skinny jeans with double race stripes! 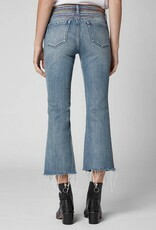 The Blank NYC Hazelnut Jacket is the perfect seasonal transition layering piece for your outfit needs!